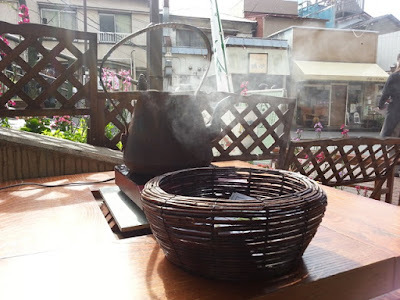 Chayu-tei/茶遊亭 has been serving tea in Yanaka Ginza for six years and is the cafe of Tonerien/舎人園茶遊亭, a tea wholesaler specializing in gyokuro that has been in business since 1924. 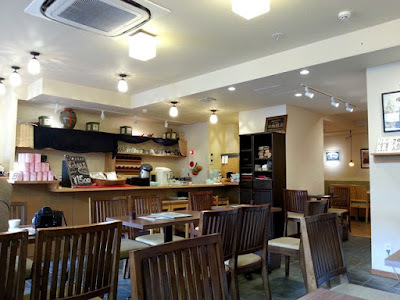 Yanaka Ginza is located a short distance (approximately 4 minutes walk) west from the North Exit of Nippori Station and Chayu-tei is located at the base of the Yuyake Dandan (Sunset Stairs) leading into Yanaka Ginza. 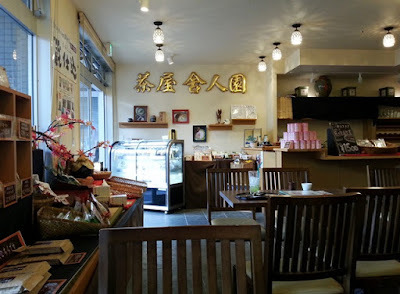 I arrived shortly before the tea room opened, following an early-morning stroll through the neighborhood. 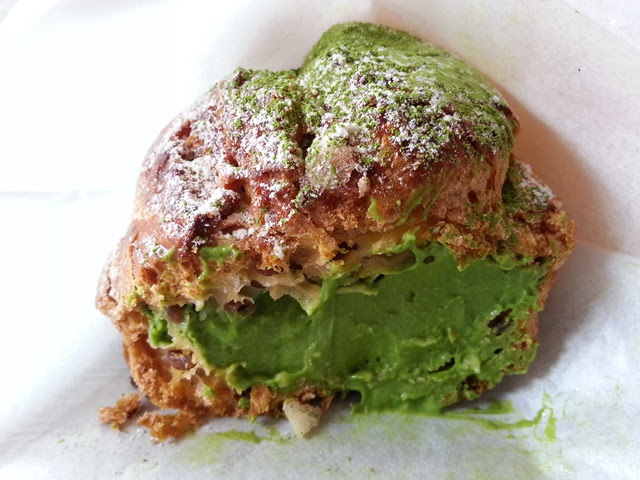 Outside, a pyramid of their famous cream puffs was on display and a hot kettle was steaming away, filling the air with the welcoming scent of tea. Though the tea room may look deceptively small from the outside, the interior is quite spacious and seating is plentiful. 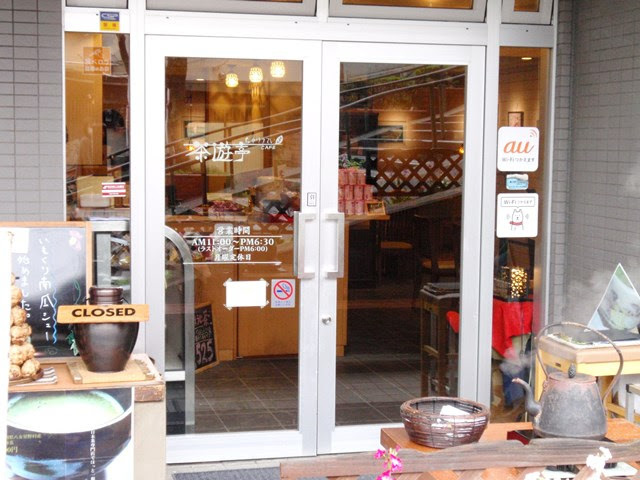 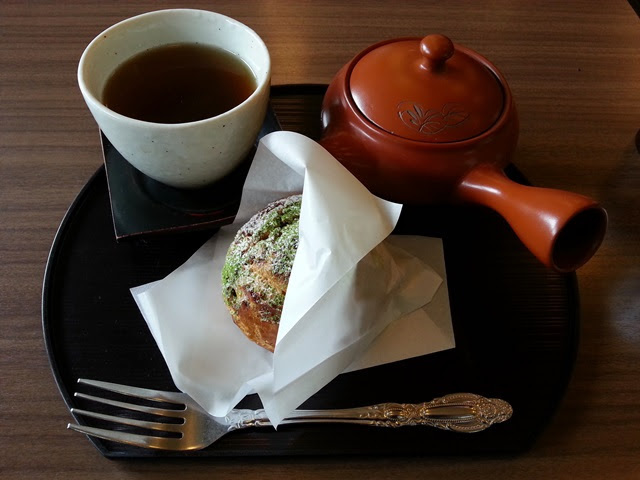 Chayu-tei offers tea, seasonal pastries, and light meals. 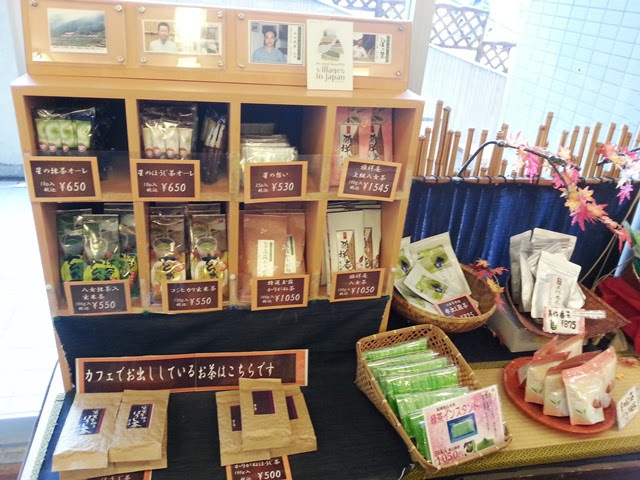 All teas served at Chayu-tei are also available for purchase and detailed origin information is on display for each tea. 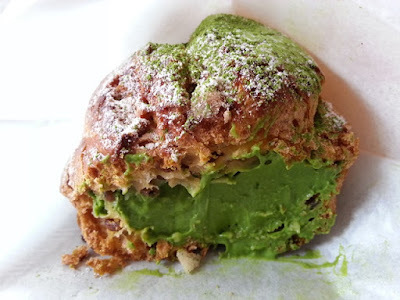 For this visit, I selected the matcha cream puff set with karigane hojicha from Shizuoka. Hot water refills are free, so you can continue to relax and enjoy your tea. The cream puff was as delicious as I hoped and I was so impressed by the karigane hojicha that I had to buy a package to take home!